Brian Wilson — playing Galway this summer. He is revered by Beatles and rock royalty, the main creative force behind some of the most cherished recordings in rock history and one of the most influential composers of the last century. 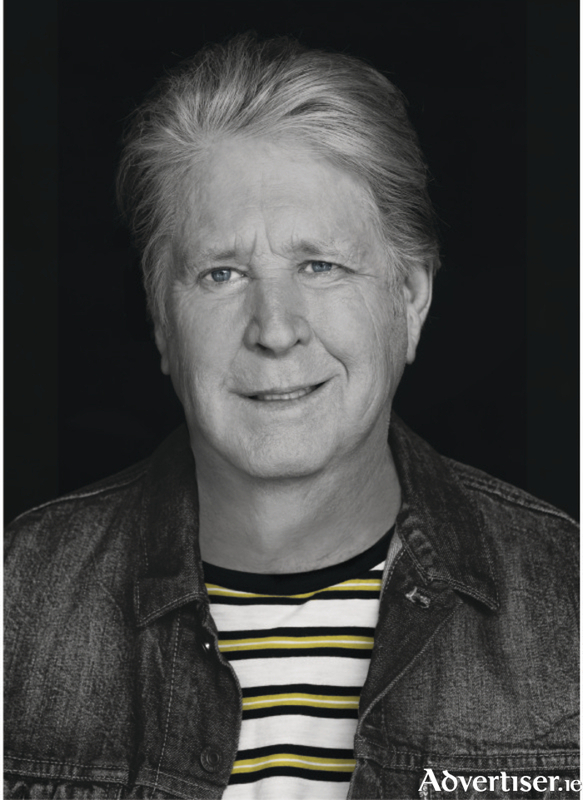 Galway International Arts Festival and Róisín Dubh are delighted to announce that The Beach Boys’ Brian Wilson will present Pet Sounds Live at the Absolut Big Top this July. This 50th anniversary celebration tour will be the final performance of Pet Sounds in its entirety. Performing with special guests Al Jardine and Blondie Chaplin and a 15-piece band, the album will be performed in its exact running order followed by the best of Brian Wilson and The Beach Boys material. Jardine and Chaplin are Wilson’s former bandmates, while Jardine also co-wrote the Pet Sounds track I Know There’s An Answer. Recorded in 1966, Pet Sounds is considered to be one of the greatest albums ever made, rivalling only by The Beatles’ Sgt Pepper’s Lonely Hearts Club Band, with Wilson rewriting the rules of what a record could be. The album entered the Grammy Hall of Fame in 1998, tops MOJO magazine’s ‘Greatest Albums of All Time’, while Rolling Stone ranks it at number two in its list of ‘500 Greatest Albums Of All Time’. Reaching the Top 10 in the US charts and Number Two in the UK, the album includes Wouldn’t It Be Nice, I Just Wasn’t Made For These Times, Caroline No, and God Only Knows, the latter considered by many, including Sir Paul McCartney, to be one of the most beautiful songs ever recorded. The album was quickly followed by The Beach Boys’ first million-selling record Good Vibrations, a record described by the legendary publicist Derek Taylor as a “pocket symphony”. Everybody, especially The Beatles, watched and waited to hear how Wilson would follow-up Good Vibrations, but, while Wilson began work on his next album, SMiLE, that same year, The Beatles waited in vain. 37 years later, Wilson completed the album in 2004, which went ‘Gold’ in the UK, topped numerous ‘Album of The Year’ lists, and earned Wilson his first Grammy Award. Wilson’s innovative vocal and instrumental arrangements for major hits, including I Get Around, California Girls, and Surfin’ U.S.A., made The Beach Boys one of America’s preeminent bands of all time. Speaking ahead of his European concerts, Brian Wilson said, “It’s really been a trip to sit here and think about releasing Pet Sounds 50 years ago. I love performing this album with my band and look forward to playing it for fans all across the world. The response from everyone has been amazing and that’s why we decided to come back and play Pet Sounds for one last time." Galway International Arts Festival would like to acknowledge the support of its principal funding agencies the Arts Council and Fáilte Ireland and Festival Partners Ulster Bank, ABSOLUT and NUI Galway.